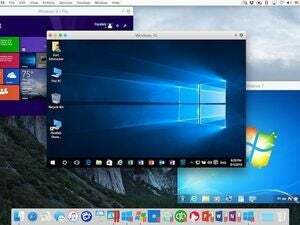 Parallels Desktop 12 adds 20 one-click utilities to its bag of tricks, along with improved performance for Windows virtual machines. Mac users are fortunate to have not one, but two excellent commercial virtualization software packages to choose from, not to mention less-polished free alternatives like Virtual Box. 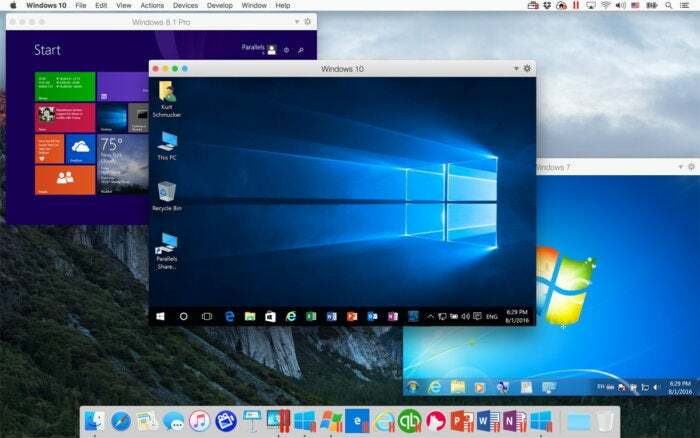 In what has now become an annual ritual, VMware and Parallels have updated their respective Fusion and Desktop products to coincide with the recent release of macOS Sierra. Last year, both companies delivered ambitious new versions to capitalize on back-to-back debuts of Windows 10 and OS X El Capitan, but the 2016 editions are somewhat more subdued by comparison. VMware marked the occasion by launching Fusion 8.5, a maintenance update with no new features. Having celebrated its tenth anniversary for Desktop earlier this year, Parallels encouraged engineers to come up with at least one unique new feature to justify the upgrade to version 12, although the company’s usual relentless innovation produced a mixed bag this time around. The only “new” Parallels Desktop 12 feature is the standalone Toolbox application, which consolidates 20 Mac utilities into a single menu bar icon. Ironically, the marquee feature of Parallels Desktop 12 ($100 one-year Pro Edition or Business Edition subscription; $80 Standard Edition one-time purchase; $40 Student Edition one-time purchase) isn’t part of the core software at all, but a bundled standalone application called Parallels Toolbox (sold separately for $10) which is installed via Preferences. Toolbox consolidates 20 common, everyday tasks into a single menu bar window, making them easier to find and use. 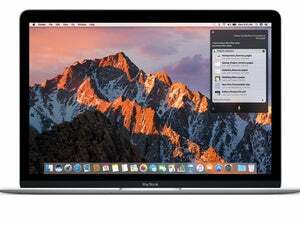 These tools offer one-click simplicity for downloading or converting video, recording audio, muting the microphone, or performing system tasks such as locking the screen, hiding the desktop, preventing your Mac from going to sleep, and Do Not Disturb, which temporarily pauses notifications and Dock activity. Convenient? Yes, but none of the utilities are particularly special or unique, and power users are likely to have their own alternatives already installed. Others are grouped into categories, providing functionality for taking screenshots, screen recording, archiving files, or managing time. I found the stopwatch, alarm, timer, and date countdown in the latter group particularly handy, since I typically defer such tasks to my iPhone or Apple Watch. Toolbox strictly works on the host OS—it has nothing to do with enhancing Mac, Windows, or Linux virtual machines. Why run only the latest version of macOS Sierra when you can install others as virtual machines and run them at the same time? One unfortunate side effect of Toolbox is that you’ll now have three separate Parallels icons taking up space on the menu bar: one for Toolbox, another for Desktop (when it’s actually running, of course), and a third for Parallels Access, the company’s $20 per year remote access service (included with annual Desktop subscriptions). There’s clearly room for some consolidation here, and the individual tools also add icon clutter to Launchpad, but at least they can be organized into a single folder there. Parallels Desktop 12 can also be used to run Windows, and works seamlessly with the latest Windows 10. 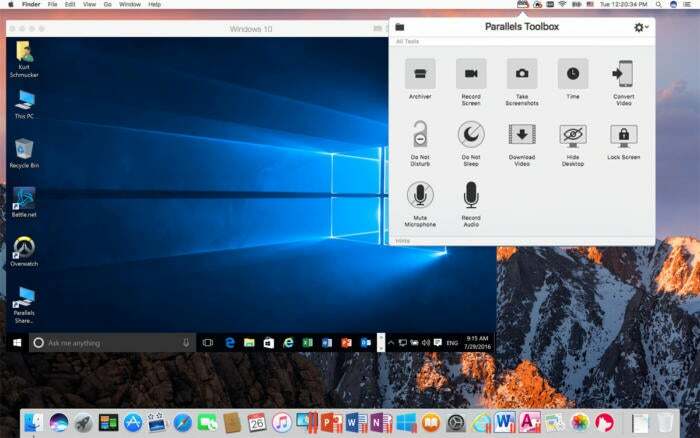 If you spend an equal amount of time in Windows and macOS, Parallels Desktop 12 offers a number of welcome enhancements. Performance has been boosted across the board, with 25 percent faster access to shared folders and snapshots, and noticeably speedier suspend and resume—under five seconds on my 27-inch iMac Retina 5K. VMs can now be configured to launch automatically when your Mac starts up, leaving them paused in the background while idle to avoid consuming valuable CPU time. (Remarkably, this continues to work even after quitting Desktop.) Located under Startup and Shutdown in the Options tab, “always ready in background” is accompanied by a handful of custom settings that determine how VMs behave when launched, closed, or shut down. Hate Windows 10’s pushy software updates? Now you can block them until a more appropriate time with the new Maintenance feature in Parallels Desktop 12. One of my biggest Windows 10 pet peeves is the heavy-handed approach to automatic updates. I don’t use Windows daily, so it every time I launch Parallels Desktop, performance is degraded as updates start installing in the background. The new Maintenance option allows such tasks to be blocked until the scheduled time, such as a weekend when my iMac isn’t in use. (VMs must be open at the time.) PD12 includes one year of free online storage (500GB) from Acronis, which can be used to back up your virtual machines. 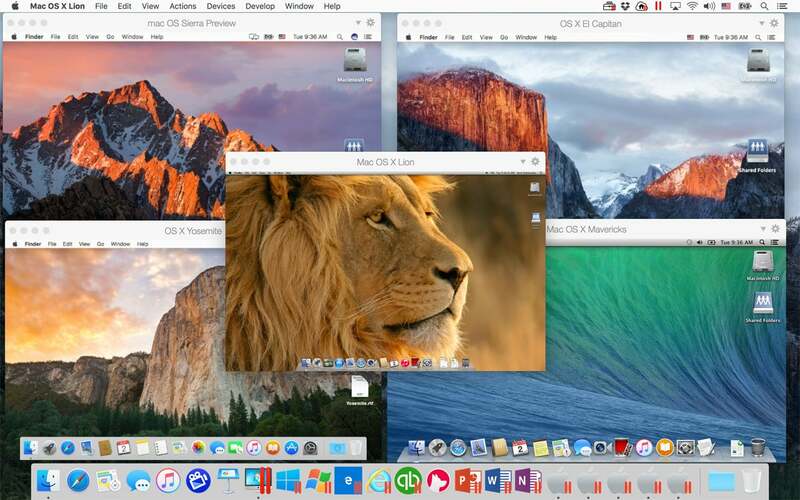 Desktop 12 also makes using Windows on the Mac more seamless. Word, Excel, or PowerPoint documents in Safari can be configured to open in their respective desktop Office 365 applications, and passwords entered in Internet Explorer or Microsoft Edge can now be saved in your Mac keychain. 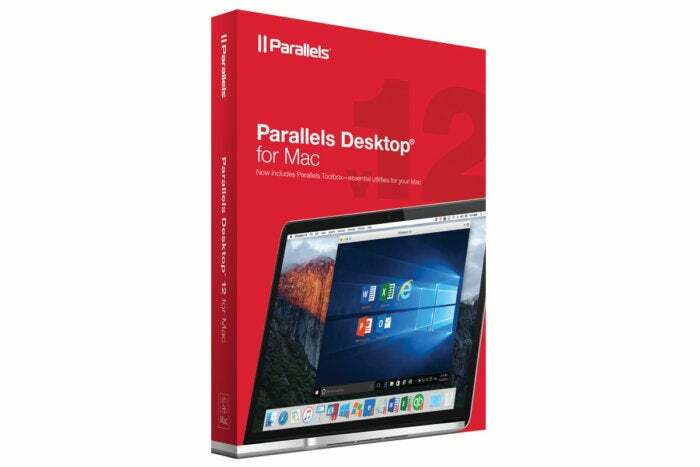 Parallels Desktop 12 includes a one-year subscription to online cloud backup service Acronis for safely backing up virtual machines up to 500GB in size. There is at least one area where Desktop 12 takes a step back. Contextual menu shortcuts have been inexplicably removed from Control Center, which I always found quite handy for quickly reclaiming storage from my Windows VMs without having to open the Configure window. If you missed out on a free update to Windows 10, you can purchase a copy directly inside of Parallels Desktop 12 and install it right away. If you already have an annual subscription, installing Parallels Desktop 12 for Mac is a no-brainer. Although the new Toolbox utilities aren’t compelling enough on their own to justify $50 for a perpetual license upgrade, the performance improvements and macOS Sierra support certainly are.